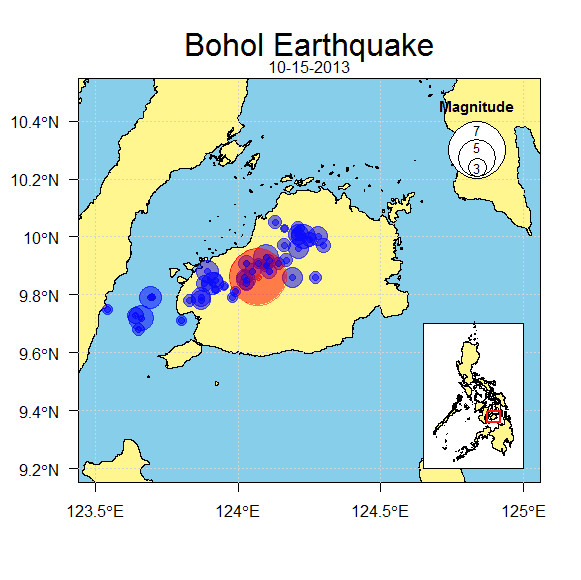 On my previous post a year ago (on mapping earthquake recorded for the Philippines), it can be seen that there were no earthquake (epicenter) recorded for the province of Bohol. But on the 15th of October there were more than 40 quakes recorded that hit the island from early in the morning till late midnight with magnitude ranging from 2.7 to 7.2. To leave a comment for the author, please follow the link and comment on their blog: Data Analysis and Visualization in R.